Workers’ compensation is a major piece of contractors insurance and a source of contractors insurance rising costs. As an employer, you probably know that workers’compensation provides coverage for medical expenses and also lost wages for injured workers. What you might not know is how your premiums are computed and how to lessen the cost of workers’ compensation. The EMR is a mathematical standard used by insurance companies to determine risk based on current claims and injuries and future projections.These calculations are utilized to decide the premiums on contractors insurance in workers’ compensation claims. The actual figure is 1.0, and it is devised by the National Council of Compensation Insurance (NCCI). NCCI compares companies within the same industry for worker risks, injuries, losses, payroll and a collection of other factors.Through these complex calculations, NCCI comes up with a number for each company based on an average of 1.0. Companies with 1.0 or lower have good ratings while businesses above 1.0 are rated less well. 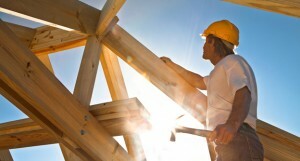 The ones above 1.0 pay higher premiums on their contractors insurance through workers’ compensation claims. Goodman suggests that you: “Begin with the EMR worksheet in hand along with an up-to-date loss run, make certain the claims that have been charged to the experience modification under the column labeled ‘Act Inc Losses’ belong to your business.” By doing this worksheet, it will help you lower the premiums not only on your workers’ comp but also your contractors insurance. Goodman suggests that you “prepare a pre-audit before your annual audit”. The pre-audit will give you a hands-on experience, which will not only prepare you for the annual audit, but it will also familiarize you with aspects of your contractors insurance that you need to bone up on.